Hugs and Kisses to Mehek. She posted that she got the Lily Cole products and after reading her post, I could not wait a moment to visit TBS shop. MINI BRUSH SET - I ignored them. Sorry! As they were limited edition, I had to pick at least one item. I picked the lip and cheek dome in the pink color. 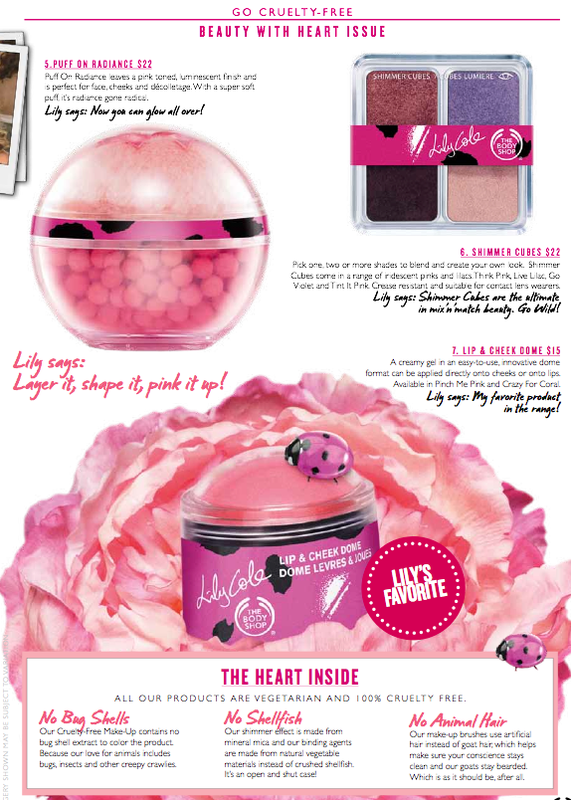 It has a sheer effect of a balm and can be used as blushes. Reminds me of NYX Stick it Up. They had it beautifuly decorated in the South City, Kolkata Store. Right at the bottom shelf, I found these BB creams from TBS but the price of 1395 INR for a hit-and-trial product was a bit too much for me. 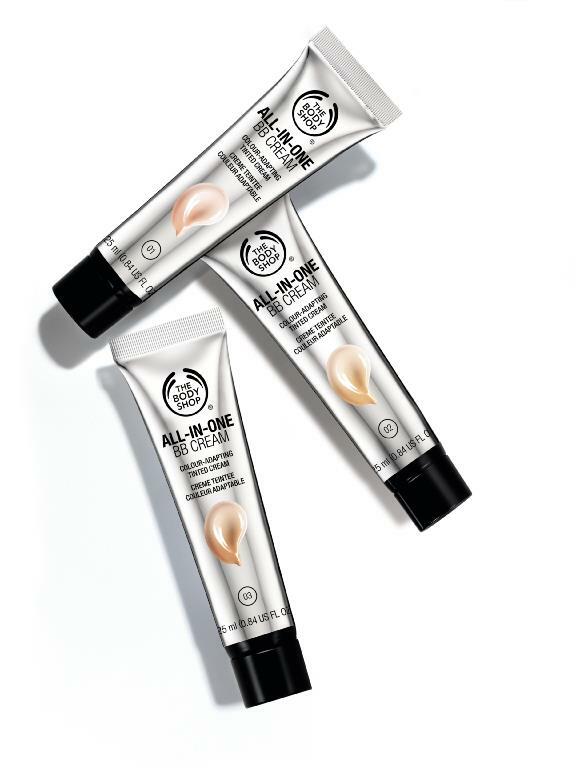 "Meet our new All-In-One BB Cream and prepare to be transformed! A masterpiece of make-up and skincare, All-In-One BB Cream possesses a lightweight formula that provides 24hr hydration and colour-adapts for a perfect match and a smooth undetectable finish. Created like all our products with heart inside – it’s 100% Cruelty Free and 100% vegetarian and contains Community Fair Trade Marula Oil sourced from the Eudafano Women’s Cooperative in Namibia"
They have also launched the body mists in line with the beautifying oils. I thought of getting the Shea one but then maybe in winter when the warm smell attracts me more. 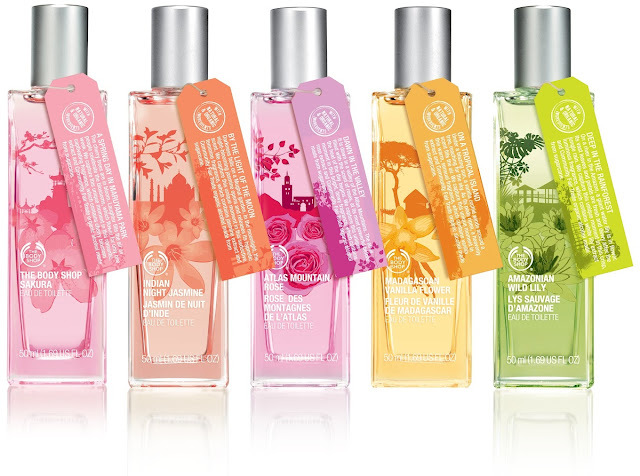 "Coming to a The Body Shop store near you - splash on summer beauty with our new body mists - available in eight of your favourite flavours. Irresitably light, fresh and natural scents, Body Mists can be sprayed all over anywhere at anytime"
I was searching for the Pink Grapefruit shower gel for the long time but they are always OOS. 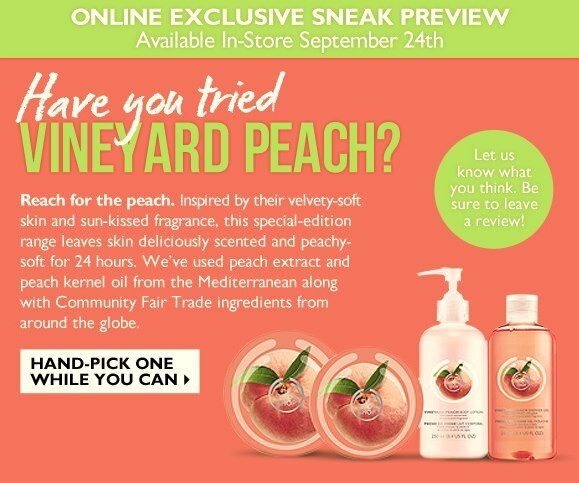 The SA with lot of pity for me told me that they have the new Vineyard Peach in stock. Vineyard Peach? Are you kidding? It was supposed to be launched in September and today is 2nd of September? New things!! So Soon! How could I not get it? They have a shower gel, a scrub, a body butter and a body lotion. I got the shower gel. 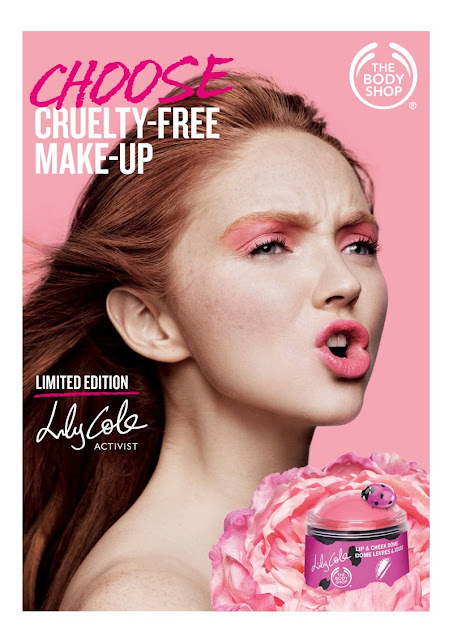 Mind it that these along with Lily Cole makeup range is a LIMITED EDITION products. But it is yet to be found in the stores. Until then enjoy the other Limited edition items. Rainforest Moisture Shampoo - My HG. This will be my 9th or 10th bottle. White Musk Libertine Body Mist - Finally persuaded myself to buy it at the 40% off price to be kept in my office drawer. PS: Do Hurry!! They are not going to re-stock the LE items! Once OOS means gone forever. PPS:: All images are of the FB pages of TBS around the world. Please review the lip and cheek dome soon! Puff on radiance looks super cute! But the price is a bit steep! Wow! Lily Cole Collection....you must be so glad you stocked up on these Limited Edition items!!! Will you be reviewing them?